Snehalaya has taken another step ahead for changing the lives of women in prostitution. 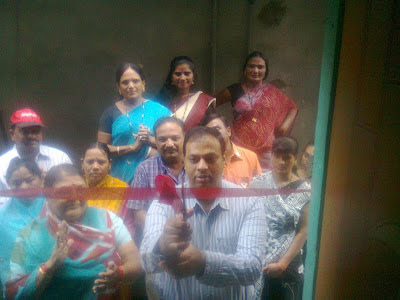 Recently Snehalaya’s Snehjyot project inaugurated a vocational training centre for women who want to quit the prostitute line in Bhagat Lane red-light area. The main objective behind starting the center is women's self-reliance. The vocational training center is beginning production of sanitary napkins. On the inauguration ceremony, honorable guests were present. Mr. Gangadhar Math had cut the ribbon. He is a computer engineer in IMN Company at Bengaluru and connected with Snehalaya’s work since last 6 years. We hope this centre will shine a ray of light for women leaving the flesh trade.